November 3, 2016 – DJI, the world's leading maker of unmanned aerial vehicles, and DroneSAR, the Irish tech start-up revolutionizing the search and rescue industry, on Thursday announced a new search and rescue app that seamlessly integrates a drone's unique aerial perspective on life-and-death searches into incident management software, ensuring rescue crews can use drones effectively to save lives. DroneSAR can stream live images and video, from a regular or thermal imaging camera, to an incident command center as well as other rescue teams on the ground. The software can tag the GPS coordinates of a victim and automatically transmit them by email or SMS, enabling ground crews to reach victims more quickly. Completed search patterns are all recorded and logged for easy handover to oncoming rescue crews. The app takes into account various types of terrain, allowing the drone to fly patterns to survey an area faster and more effectively. Flight paths can be adjusted for any terrain including hills, mountains, trees or flat land. The software allows users to choose an automatic aerial search pattern based on variables such as altitude, field of view, battery life and probability of detection. By organizing the process of data collection and providing a framework to manage and analyze it, DroneSAR ensures drones can be used methodically as part of a rescue protocol, allowing personnel to work more safely and effectively. "From understanding on how to use the technology, to communicating findings and data, to figuring out the most appropriate tactical approach, first responders can benefit greatly from this software app on our DJI hardware," said Romeo Durscher, Director of Education at DJI. "Many of the tasks and strategies deployed during a search and rescue operation can get sped up with automation, helping to reduce the time it takes to find a victim and save lives." 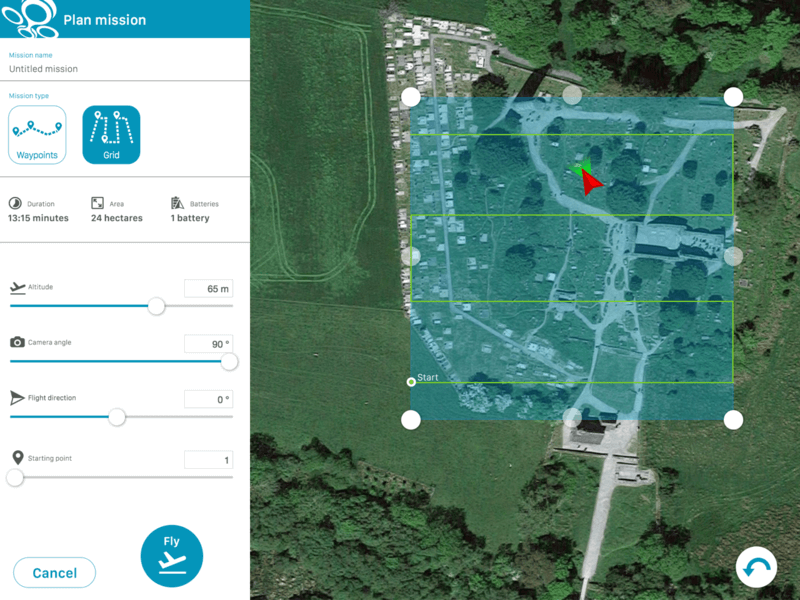 The first-of-its-kind software was developed based on research done by DJI in conjunction with the European Emergency Number Association and Ireland's Donegal Mountain Search and Rescue team. The groups found that while a five-person rescue team on foot needs an average of two hours to find a victim in one square kilometer, a drone can do the job in 20 minutes or less while taking additional active steps to achieve a successful rescue. "Our aim is to save lives," said Oisin McGrath, Co-Founder and CEO of DroneSAR. "Our software will reduce risk to search teams and reduce search time. If we can save just one life, that is mission success for us at DroneSAR." Further details on DJI-DroneSAR hardware and software package availability will be announced in due course.